We will guide you through the steps of losing 10 - 21 lbs. in just 4 weeks by eating great recipes, tracking your progress and getting 1-on-1 support from people that want you to succeed. Get Started for Just $47. Pay Once, Be Happy Forever. In just 4 weeks, you can lose 10-21 lbs, drop 2-4 inches from your waistline, increase muscle tone, and more. 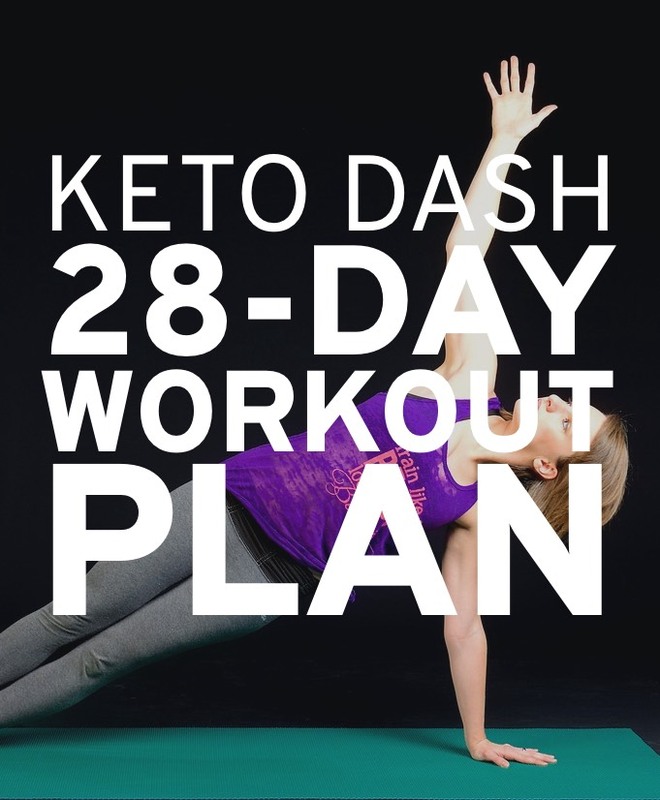 The Keto Bootstrap System takes all of the guesswork out of having to figure out what to do to lose weight. Let's make sure you're eating the right amount of food. You want energy for the days you're going to conquer. Once you understand the changes that are happening to your body the more you can maximize the results. Meal plans for every type of eater filled with recipes that you'll keep on coming back to because you want more. Would you feed your pets stuff that could damage their bodies? Of course not, and yet we do this to ourselves every single day. When trying to lose weight the first thing that you should look into is sugar because it is one of the most damaging things you can put in your body. Almost every diet finds a way to add sugar to your system. It doesn't have to be from cookies or cupcakes. It can be from breads, pastas, and even vegetables. Your body has become accustomed to running off of glucose (sugar broken down). That is why you have sugar cravings, afternoon fogginess, mood swings, and other things that you don't associate with sugar. The Ketogenic Diet works to break that cycle so that your body is no longer reliant on glucose. By lowering carb consumption, making sure you get enough protein, and increasing the fats that you eat. The Ketogenic Diet is a low carb, moderate protein, and high fat diet. Yes, high fat. Contrary to what you've been taught over the years, fat isn't the problem, sugar is the problem. 60% of our brain is made up of fat and you like your brain don't you? The purpose of the ketogenic diet is to switch your body from being a sugar-burner to a fat-burner. At most, your body can hold 600 g of glucose (what sugar gets converted into). That is about 1.3 lbs of fuel that your body can use before it needs to find more. That's why you are always on the hunt for more cabs. Fortunately, your body can store an almost unlimited amount of fat. When you become keto-adapted your body stops burning glucose for energy and instead, burns fat. 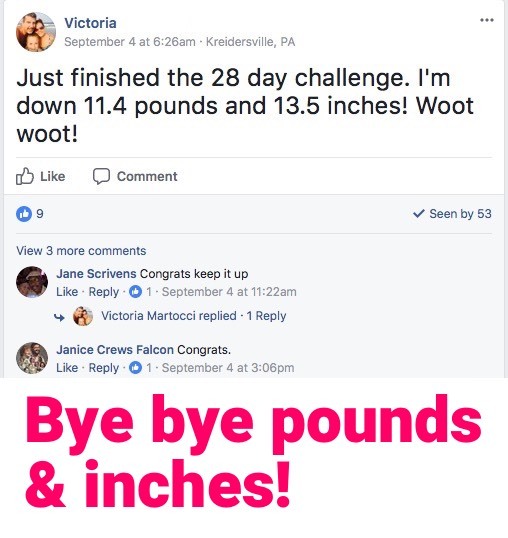 Having a community of awesome people following along on the same journey as me helped me lose more weight than I had even hoped for. I loved the fact that you didn’t tell me what I had to eat like most diets, but gave me guidelines on the 100s of different meals that I could prepare for myself that wouldn’t set me back. Even better, my migraines have stopped. I can't tell you how happy this makes me feel as I feel like I am finally getting my life back again! The fact that I lost 14 lbs in the first 28 days should say enough about this program. I would love to say that it was because of the workout plan and eating right but without the support of the community I probably would’ve quit after the first week. I don’t need to sign up for this program again because you’ve given me everything that I need but the fact you provide me with a chance to interact with others that share the same journey is something that I can’t pass up. Expect to see me again next season! For so long I felt like something was missing. Losing weight shouldn’t be this hard but I kept on failing. Thank you for providing me with a system of support that helped me through the times when I wanted to give up. This was an invaluable experience. 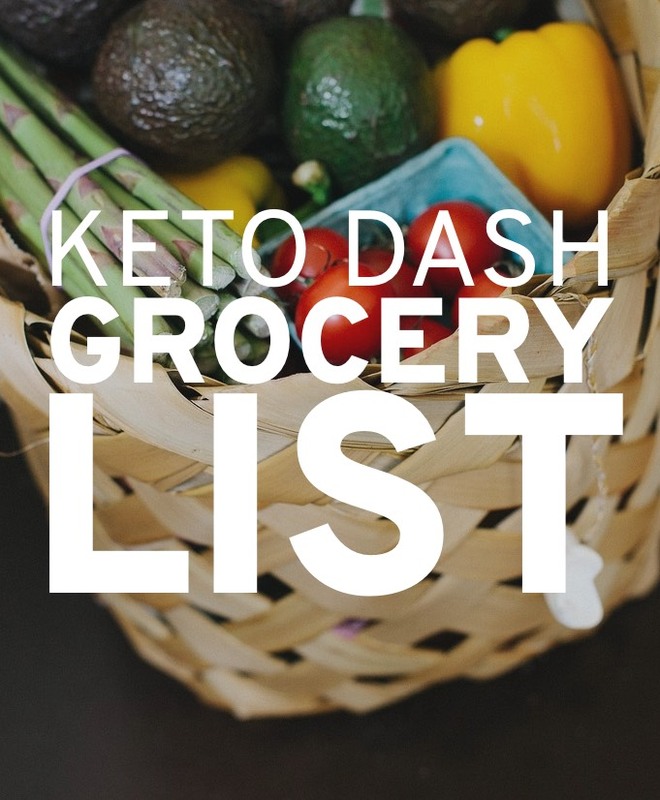 The Keto Bootstrap System combines the best of the Ketogenic Diet with a community system to help you stay on track and create a whole new lifestyle. And once you start there is no reason to stop. When you make the Ketogenic Diet your lifestyle you will continue to reap the benefits for the rest of your life. I've tried what feels like hundreds of different weight loss programs and they all had their pros and cons. Unfortunately, none of them helped to break me of my bad habits and I always found that I would gain the weight back quicker than I lose it. That's when I decided to create a weight loss program of my own tailored to people that have faced the same struggle. A program that offers a variety of healthy meals. A program that keeps workouts interesting and diverse. A program that offers a support system and community that you can turn to instead of trying to do it all on your own. Say Hello to the Keto Bootstrap System!!! Lose It. Lose the unwanted weight. Leave It. You aren’t losing the weight so you can find it again. Leave it behind forever. Love It. Most importantly, you need to love the process of losing weight and the results that you achieve. This is a 28-day challenge but you will start seeing results in as little as 3 days. So why is it 28 days? Because the best way to stick to a system that helps you improve your body is by seeing fast results. Once you've finish the 28 days you'll be provided with all of the knowledge and information needed to continue with this system for the rest of your life. The hardest part of any weight loss program isn’t the workouts or the eating. It is sticking with it. It’s okay to admit that you need that extra push. It is a lot easier when you feel like you are doing it with other women. You don’t have to lose weight alone. Not this time. Thank you for your emails and motivation so far. It has only been a few days and already I am impressed with you and the company. I received an email letting me know I had three accounts (I'm just so excited to be a part of the journey) and I want to thank you for the personal attention. I am using the MyMacros+. Now that I have figured out how to use it a little better I am very impressed at how aware it has made me become of my food intake. And also my new found attention to carbs. Thank you again for providing a wonderful start to the healthy journey. It's my mission to make sure you get on track and stay there for the rest of your life. This is about creating a new lifestyle, not just changing how you eat. That's why I made sure that the Keto Bootstrap System has absolutely everything that you need to ensure your success. The only chance you have of failing is if you live inside a gingerbread house filled with candy and cookies. I can’t tell you how frustrated I was with everything in life. It seemed like that my unhappiness with my body bled out into other areas of my life. Every time I tried to lose weight I ran into roadblocks namely the one called life. My schedule is chaotic so it can be hard to plan consistent workouts. 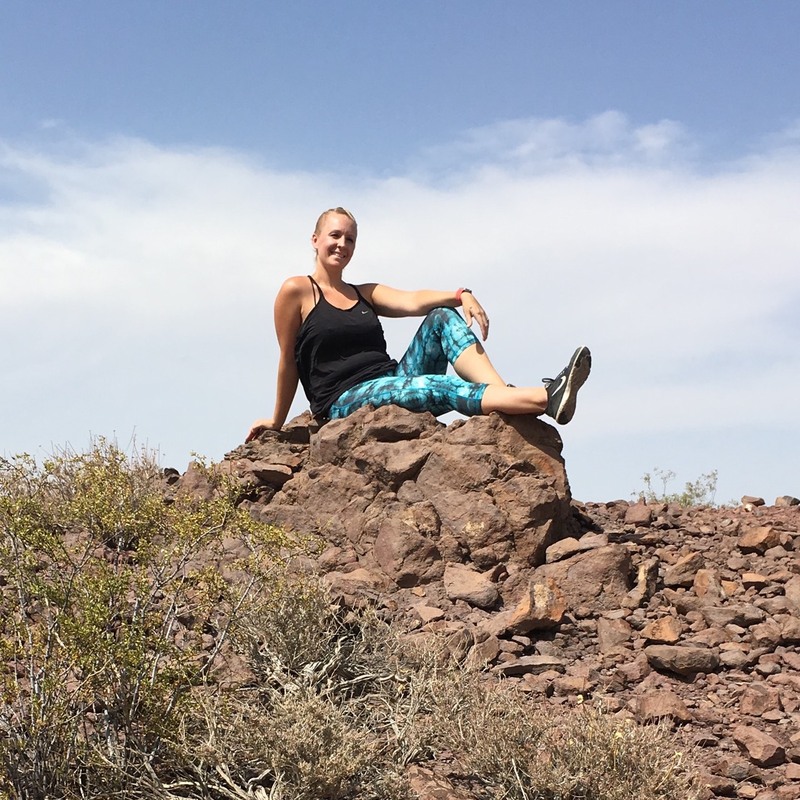 The Keto Bootstrap System gave me my confidence and happiness back. While losing weight is great, I love how the ketogenic diet has me feeling. I'm much happier every day and have a lot more energy. Doing your workouts and following your nutrition guide helped me gain muscles that I didn’t even know existed! I no longer get people telling me that I need to eat more. Now people want to know how I got so toned. 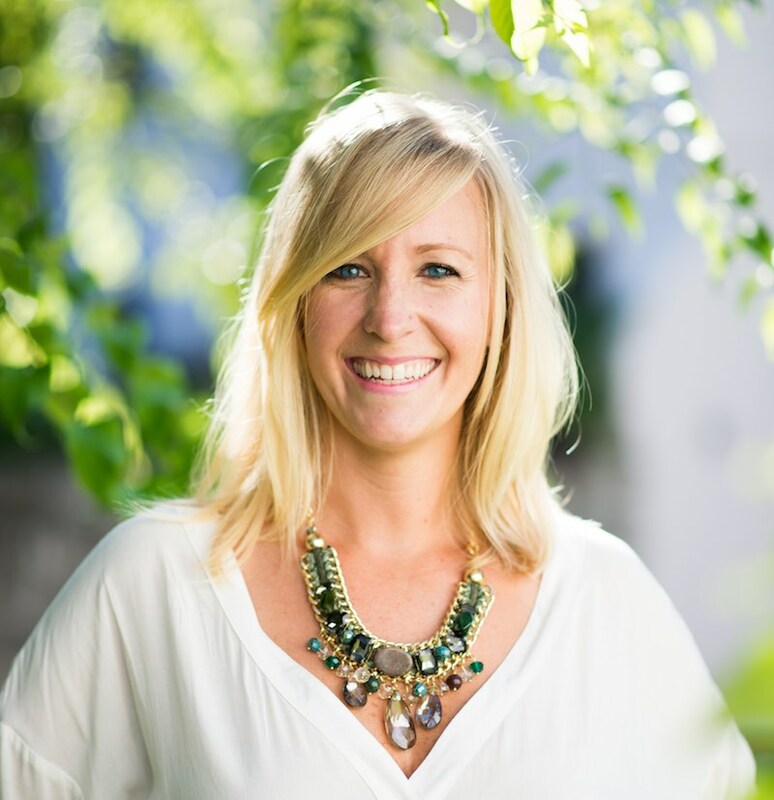 My name is Elisa and my life changed when my husband found me in the closet crying. I was trying on a pair of jeans that always fit and they no longer fit. I was tired of buying a size up in jeans so I set out to finally make a change in my life. 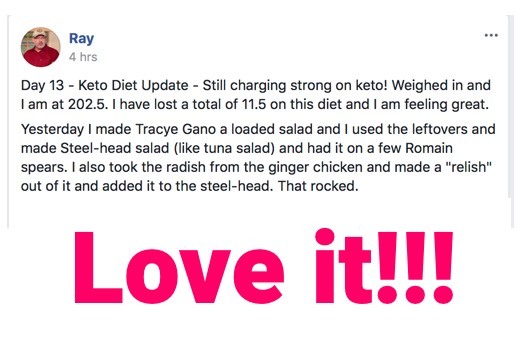 The Ketogenic Diet has completely changed not only my lifestyle, but my husband's as well. After the first week of doing it the jeans fit me again. By the end of the second week they were sagging due to the inches that I've lost. I created the Keto Bootstrap System because I believe everyone deserves the opportunity to be happy in their own body. Sure, you could eat boiled eggs for two weeks and see some great results but do you really want to eat eggs for that long? You should experience fast weight loss that is enjoyable with foods that you love. At some point your body will adjust to your diet and you will plateau. You need to learn how to make the proper adjustments to continue your weight loss journey. There shouldn't be any reason you are confused about what you can eat. You should have a shopping list laid out clearly. If you aren't seeing results or feel like you are on this journey alone you can quickly lose the motivation to continue. The Keto Bootstrap System was created to counter all of these things. Support in the Keto Bootstrap System comes in two forms. 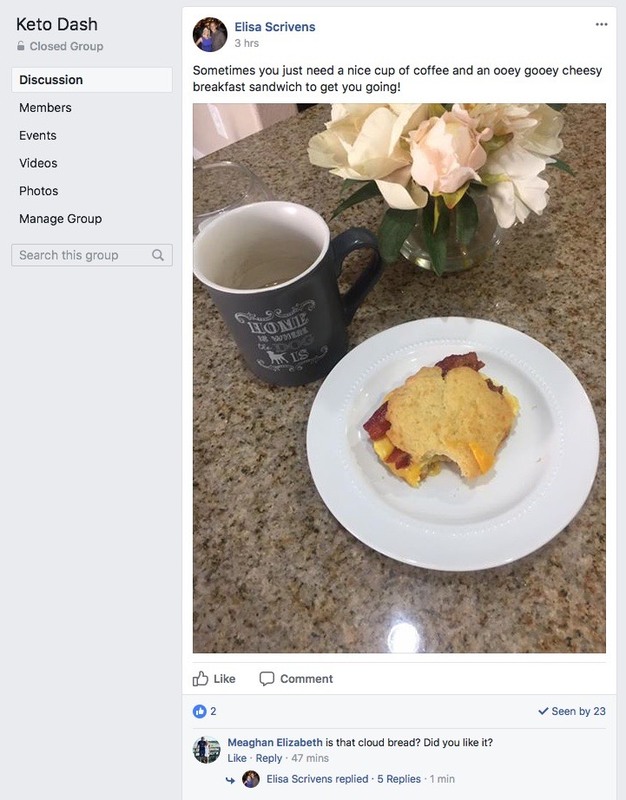 The first is a private Facebook group where you can converse with other Keto Dasy Participants to share progress, results, recipes, and encouragement. Ready to Start a New Lifestyle for Just $47? The Keto Bootstrap System is meant to be much more than just a book on how to use the ketogenic diet to your advantage. It is a complete system meant to help you prevent any self-sabotage that you might want to try while trying to lose weight. How Does Keto Bootstrap Work? Once you sign up you will be presented with all of the materials, resources, and knowledge to help you get started and then you decide when you want to begin the challenge. Unlike most weight loss programs that just give you materials and leave you hanging, me and my team are always accessible to you to answer your questions, help you figure out your macros (you'll learn all about these), and figure out a good meal plan for you. We help to take the guesswork of what you should eat by providing you with a 28-day meal plan that covers every single meal! You are free to change out meals but if you really want to do this challenge without having to think, then just follow the meal plan that we've provided and you're good to go! Each meal plan has a variety of meals each week so you aren't stuck eating the exact same thing every single day. Losing weight also means being able to enjoy the foods that you eat. 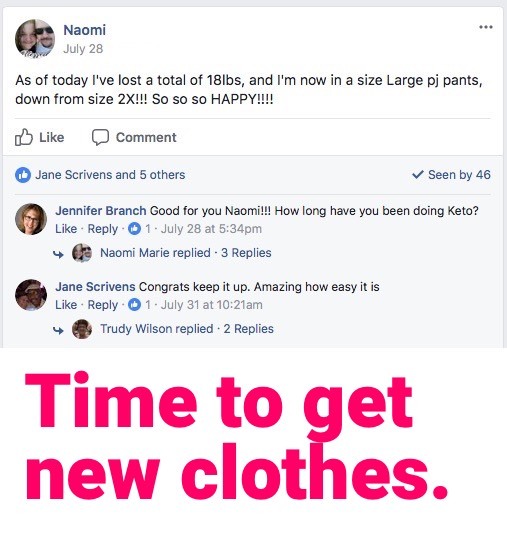 Once you enroll in the Keto Bootstrap, you will be given access to the community and private group. Everything will be laid out for you in a way that is easy to understand. You won't be left wondering what you need to do or how to get started. While the ketogenic diet has been used by doctors to help treat patients for over 50 years, it is only just now starting to get noticed by the mainstream health community. These reasons are why the ketogenic diet is more than just a diet, it is a lifestyle change. Sign Up Today and Receive the 3-Day Weight Loss Manual for Free! You’ve heard about how awesome the Ketogenic Diet is but everybody on a diet will say it's awesome. You want to see for yourself without having to completely restock your kitchen. We hear ya. It's smart to dip your toe into the water before diving into the deep end and that's why we created 3-Day Keto. 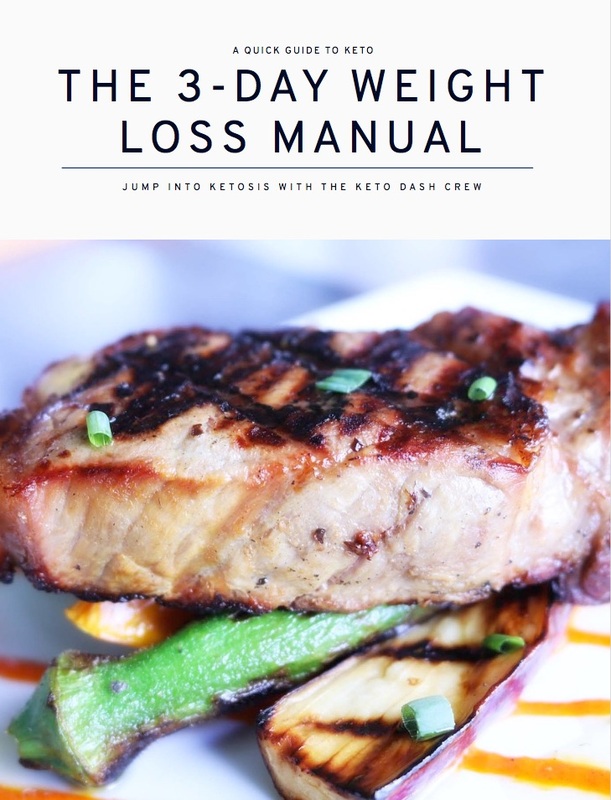 This 119-page book will introduce you to Keto and provide you with a plan that will help you achieve Ketosis in 3 days. 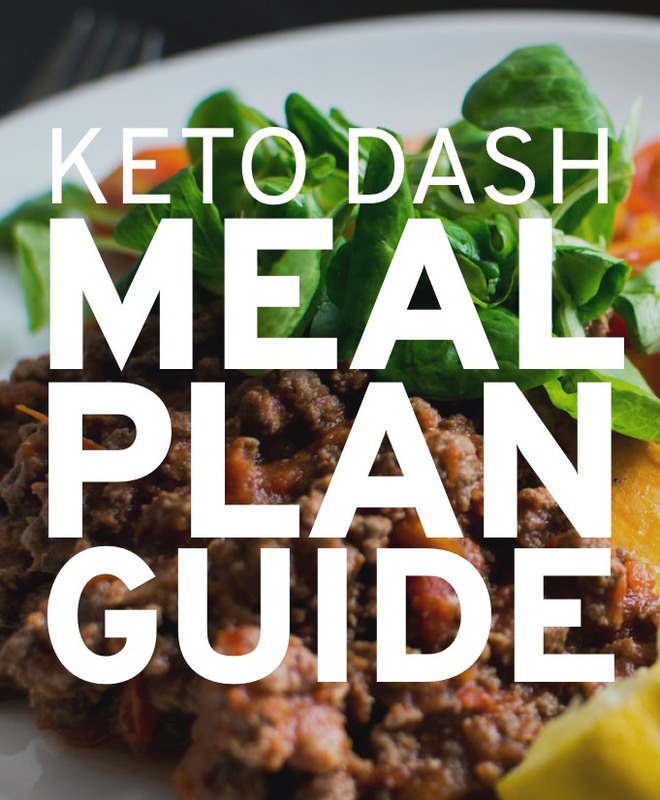 Want to give Keto a shot over the weekend? This is your chance. 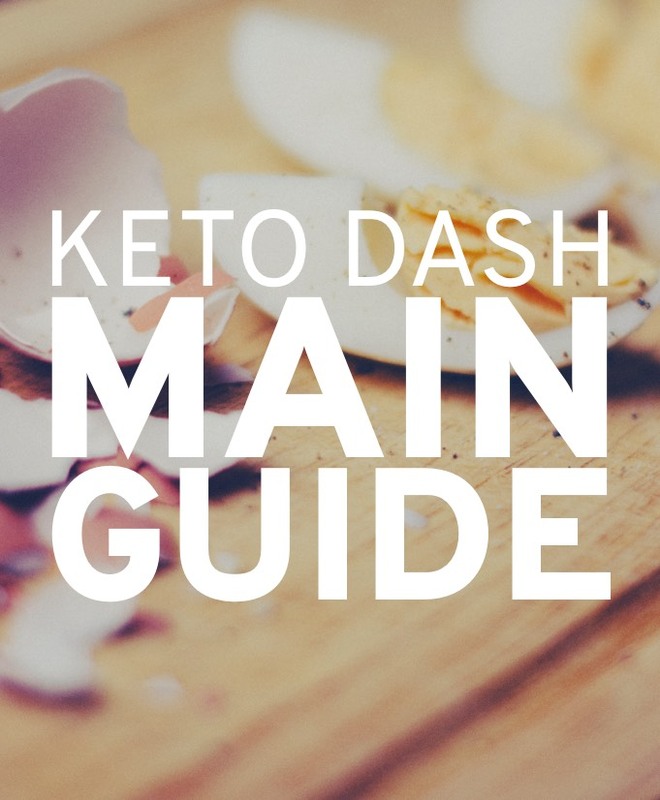 Comes with 20 bonus keto-friendly recipes that will help you experience keto to its fullest. Each round of the Keto Bootstrap System you complete unlocks a brand new round that provides a whole new experience. This means you pay one price for a weight loss experience that continues to grow with you along your journey. If you have a question that isn’t answered below you can send an email to info@ketobootstrap.com and I will respond as soon as possible. What if I can’t make it to the gym? The beauty of the ketogenic diet is that it switches your body to be a fat-burner instead of a sugar-burner. That means everything that you do that requires energy (which is everything that you do! ), your body will burn fat to get that energy instead of relying on sugar. While the best results happen when you mix the ketogenic diet with some form of exercise, exercise is not necessary to start seeing results. Is this really different from other weight loss programs? Yes! I've made sure that this program focuses on providing you with a support system that will help you across the finish line. If you’re just looking for a diet and want to do it alone then you can read all of the free content on this site. In fact, I will be following the program along with you! Of course! 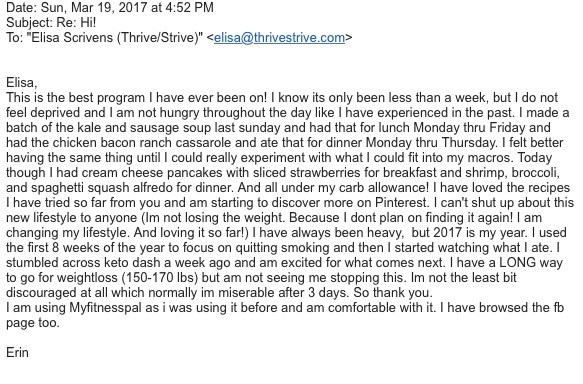 If you can show that you stuck with the Keto Bootstrap System for 28 days (sticking with your new eating lifestyle) and are not pleased with the results just let me know and I will personally issue you a prompt and courteous refund - no questions asked. Hello! It is me again. I hate trying to lose weight. I am not really a fan of working out either. However, I want to look good and feel happy so that means eating right and working out. Over the past couple of years I have gained 20lbs, lost 15lbs, gained 5lbs, lost 7lbs, and many other ups and downs. It sucked until I found a group of women to work with. I realized that my problem was that I felt like I was alone on my journey. 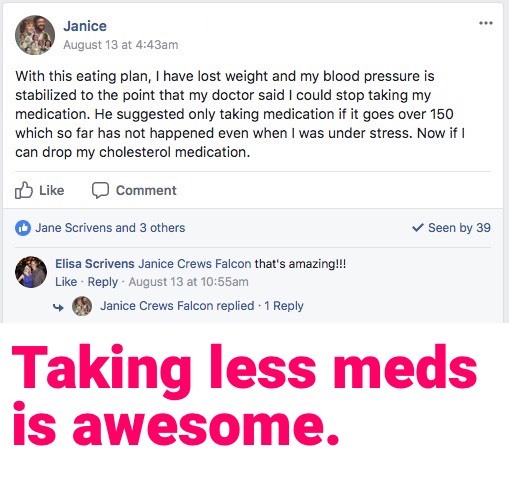 That’s why I created the Keto Bootstrap System.